Where Does Record Nations Do Our Document Scanning? Every company is going to have a different scanning need. Record Nations looks at your project to see exactly what your company needs and then helps determine what the best approach. We have two main options for your document scanning needs. We can come to your office and scan your documents, or you can send your documents to a secure facility to have them sent to an offsite facility to complete your scanning project, then returned to you or securely shredded. It’s important to determine and adhere to your companies policies in order to make sure that your scanning project goes smoothly. Some companies aren’t as concerned with scanning their documents while they watch, while others have to have their documents completed onsite due to privacy laws and regulations, security concerns, company policy, or other specific needs. It can actually be easier to have someone come to your location just for the fact alone that there is no risk of missing or losing some of your paperwork. You also don’t have to worry about people taking up space in your office if you run a busy location. When you have a huge scanning project like most businesses do though, and you don’t mind having your records taken offsite, it can actually be nice not having to manage all aspects of the project. It’s crucial to find a company that can help with your scanning project in a way that makes you and your company feel protected. Get Free Quotes for Your Document Scanning Project Today! No matter what sized scanning project you have, Records Nations will find the perfect solution for you! 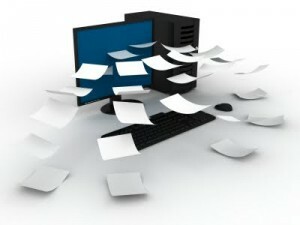 We even offer document management services for once your documents have been digitized. Call us today at (866) 385-3705 or fill out the form on the right for free quotes!